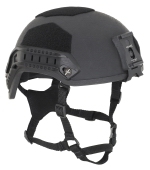 Here at Bullet Proof ME you will find a large selection of body armor and information to put the odds in YOUR favor. We specialize in Body Armor and ballistic protection, so we can offer you a better selection and prices - in stock, ready to ship fast. Even better, you can talk to an expert who is happy to take the time to discuss your needs and ideal fit. If you are tired of talking to "customer service" reps who can only recite what's on their computer screen, call us! For police, security, military, and law-abiding civilians, we are light on "eye candy" marketing glitz, but heavy on what you need to know about ballistic protection and 'bullet-proof' vests. Pro-tection to the MAX in a concealable and comfortable package. A quality Level 3-A vest at an affordable price. Worn like an undershirt, concealable and comfortable under even light clothing. Level III-A protection for the upper leg and hip. Do YOU Need Body Armor? When you are the target of a criminal attack it may very well be at the time and place chosen by the criminal  to maximize their advantage. Even worse, law-abiding citizens and police operate under strict ethical and legal constraints to using deadly force. While morally correct, tactically this puts you at a huge disadvantage. By criminal design and legal constraints, you are often forced to REACT in catch-up mode. We put the odds back in YOUR favor. Even if you are only in a situation where you are threatened, the confidence that comes from knowing you are protected can be decisive. Tactically and psychologically, body armor gives you a huge advantage, because you know your armour can give you a second chance. beats NO vest and two guns! Think about it this way  would you rather enter a confrontation with JUST a $600 pistol  or a $300 pistol, and a $300 vest? While the extensive coverage, and turtle-shell feeling of tactical armor is reassuring, convenience and concealability is often more critical because dangerous situations dont always announce themselves ahead of time. Your protection needs to be on BEFORE its really needed, because the best vest for you is the one youre actually wearing when shot! Thus keeping your armor camouflaged is critical. The military (see Tactical Armor) can accomplish this with camouflage patterns, but urban environments require a concealable vest under clothes, or inconspicuous ballistic clothing or hidden shields. How Does Body Armor Protect YOU? 1) Personal service on the phone. We care that you end up happy. 3) Proper Fitting is what makes the biggest difference in the real world. We are experts at sizing Body Armor. 4) Fast Shipping We stock most products in the popular sizes/colors. "some of the finest Body Armor that is available today"